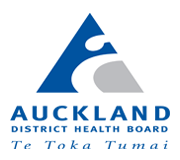 The Auckland Academic Health Alliance formalises a research, teaching and clinical delivery relationship spanning almost five decades between the Auckland District Health Board and the University of Auckland. The Auckland Cancer Clinical Trials Centre here at the University is a first for the New Zealand public health system. This ground-breaking research will help to establish an integrated cancer research centre in Auckland, future proofing New Zealand in this important field. The unit will be launching research into new drugs with the goal of a potential treatment option for cancer patients in the absence of effective alternatives. Genomics Into Medicine (GIM) is a University of Auckland Strategic Research Initiative for research-led clinical genomics. As a medical and health sciences researcher, you can apply to access tissue and related medical data from the Te Ira Kāwai – ARTB. The AAHA Research Collaboration Fund provides ‘seed’ funding to strengthen relationships between researchers at the University of Auckland and Auckland DHB. Applications for grants from this Fund close on April 20 2018. Applications for the Goldman Sachs New Zealand Fellowship in Cancer Medicine are now closed. For updates on the AAHA, news on research and health care milestones and more, you can subscribe to the Dean's Diary newsletter from the Medical and Health Sciences faculty at the University of Auckland, read the eNova newsletter from the Auckland District Health Board or visit our news and events section. Ground-breaking findings by Liggins Institute researchers based on mapping DNA in three dimensions have shed light on the genetic drivers for type 1 diabetes, and on why seemingly unrelated diseases so often go together. Young researcher Hannah Rapata is passionate about improving Māori health and nutrition. Women who need help starting labour could have a more comfortable, relaxed birthing experience with the aid of a specialised balloon.